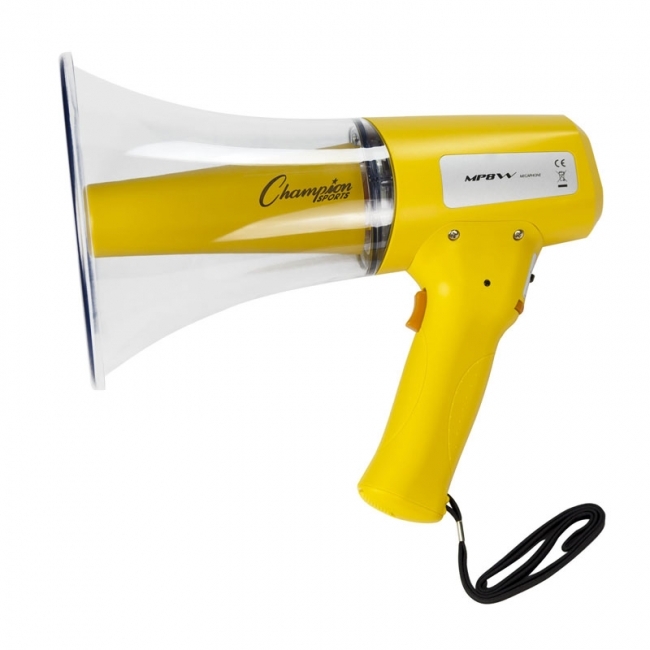 Get their attention while saving your voice with the Champion Sports 4 Watt Mini Megaphone. 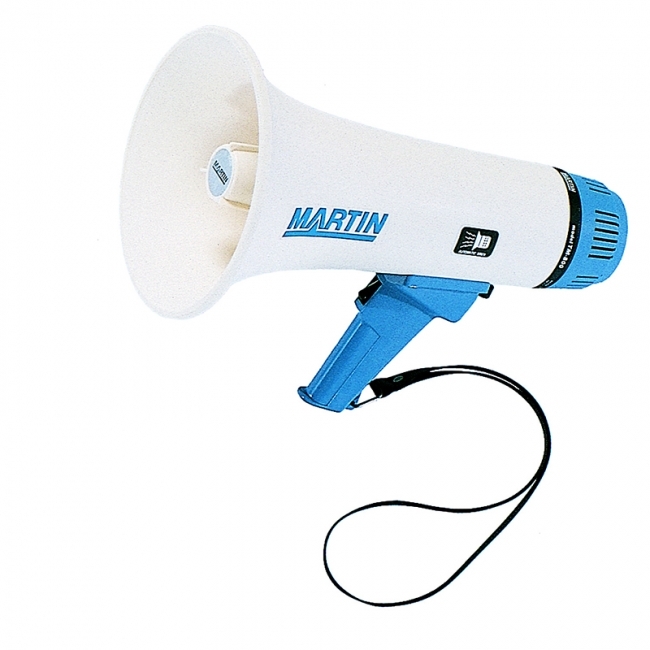 With a range of 400 yards, this megaphone comes with a range of 400 yards; this megaphone comes with an adjustable volume control and powerful siren to communicate a variety of messages to different types of audiences. 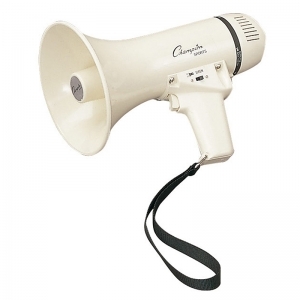 Equipped with a convenient wrist strap, this megaphone is easy to keep close at hand when you need it most. Large groups and teams on wide open fields will benefit from the Champion Sports 8 Watt Megaphone. Able to be heard up to 800 yards away, this megaphone also comes with a built-in siren when you really need to get their attention. The adjustable volume control allows you to adopt to different crowds and instances, while the convenient wrist strap makes it easy to hold and transport this megaphone. Megaphone 800 yard range, volume control and siren, 10 watts. Includes shoulder strap. Requires eight 'AA" batteries (not included).